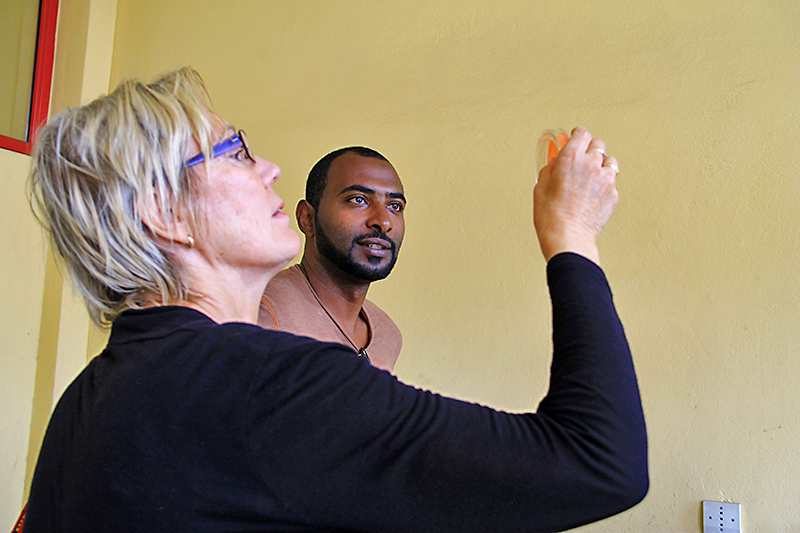 Aregu Aserse, Markku Yli-Halla and Kristina Lindström visited Ethiopia at the beginning of October 2015. We met with all our collaborators. At Addis Ababa University Beimnet Asfaw was making himself ready to come to Helsinki. He has isolated 100 rhizobial strains from nodules of faba bean and as many from lentil nodules. He will bring the cultures to Helsinki and study them by molecular genetic methods in the laboratory of the N2 group at the University of Helsinki, funded by a fellowship from CIMO. Beimnet Asfaw showing the result of his work. 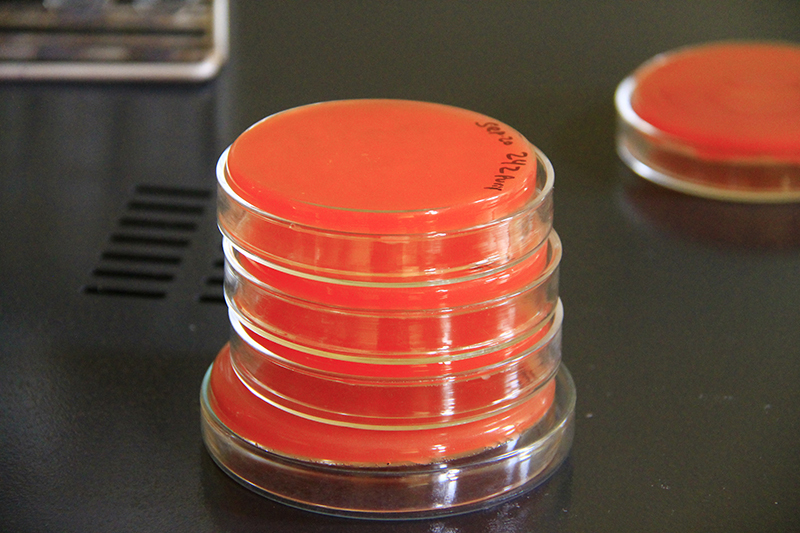 Agar plates with Rhizobium cultures. At the same university Tassew Sirage is working on the purification of his isolates from chickpea. Kristina inspecting bacterial cultures in the laboratory at National Soil Testing center. 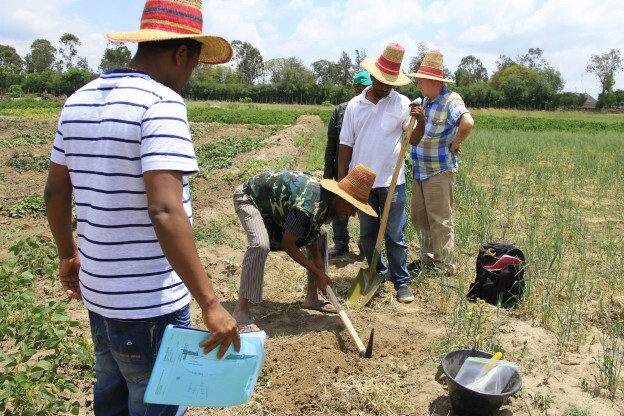 In two villages near Hawassa Galfato Gibase and Mila Sell with the help of Zebene Asfaw intiated the Innovation Platform with local farmers. We also met Dr. Zewdu Terefework, who was the first Ethiopian to accomplish a PhD in the N2 group of Kristina Lindström at the University of Helsinki. 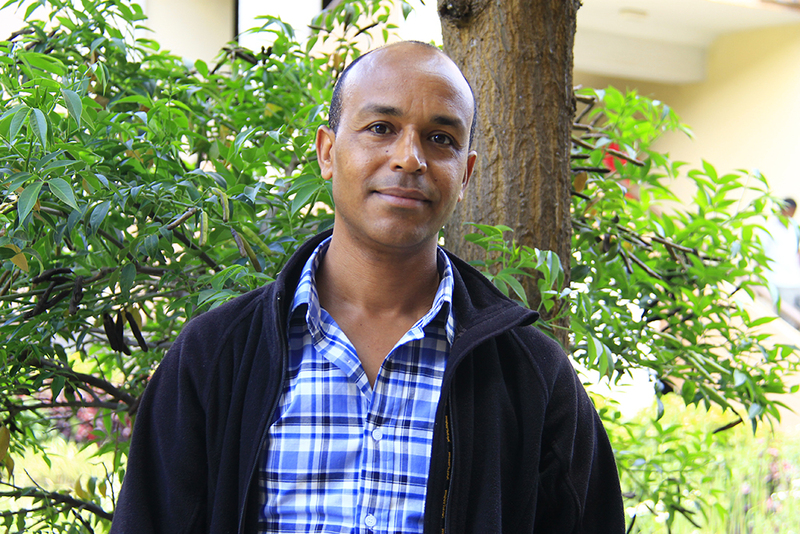 He now manages a company in Addis Ababa, which is specialized in modern diagnostics of many different diseases. 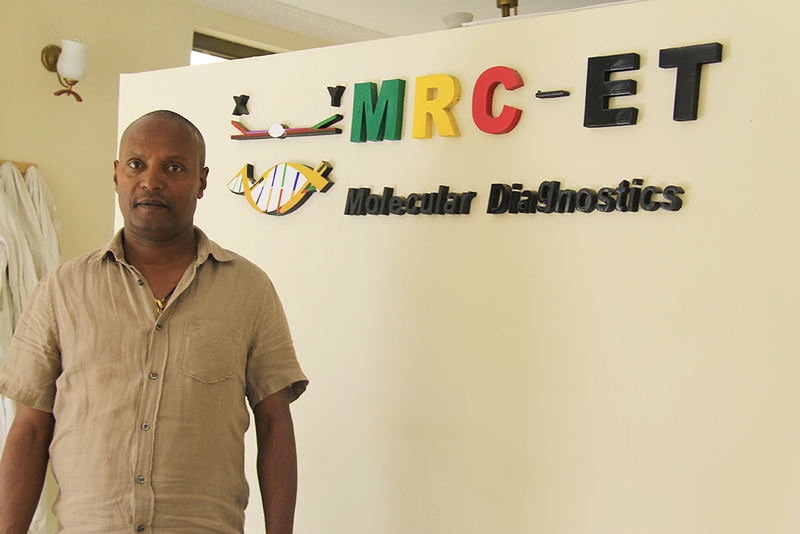 His laboratory is probably the most advanced in whole Ethiopia. 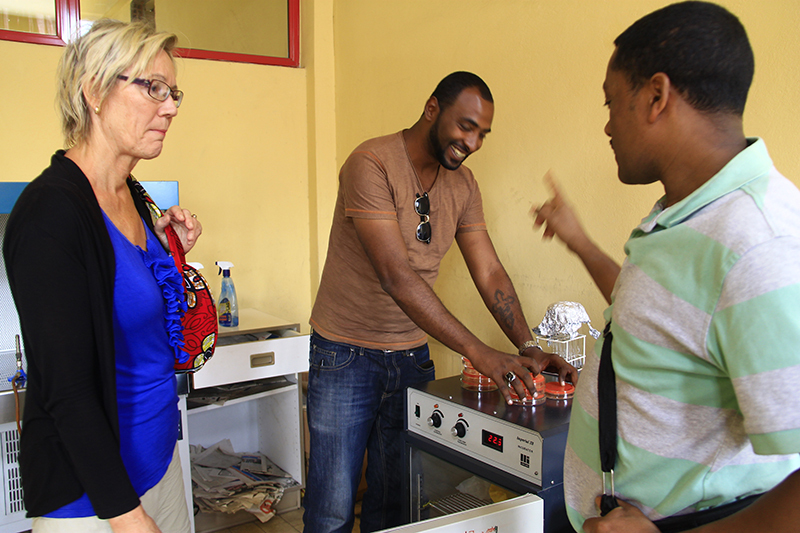 Zewdu initiated the interaction between the N2 group at the University of Helsinki and our Ethiopian partners. We had good discussions with Kassahun Tesfaye at the Institute of Biotechnology, Addis Ababa University. We also met Endalkachew Wolde-meskel, now at N2Africa, ILRI. 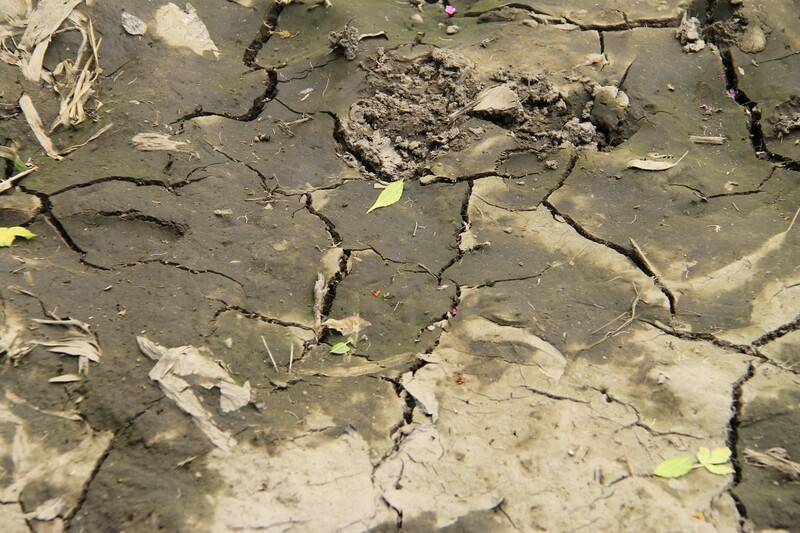 Ethiopia is experiencing severe drought this year. The soil is dry and there is not enough food for the animals. 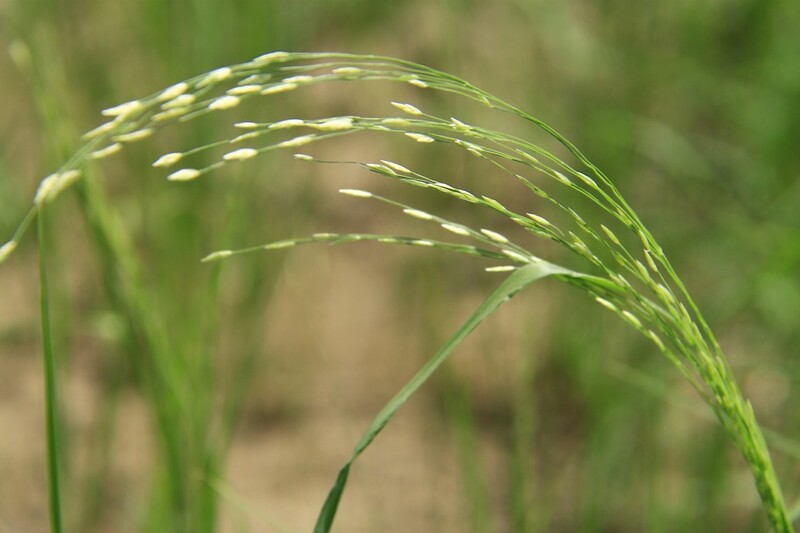 Teff is a local grain that tolerates the dry conditions. This entry was posted in Soilman blog on 25.11.2015 by Kristina Lindström.